Morning Glories: on creating. on art. on home. on creating. on art. on home. Fresh. Warm. Inviting. Comfortable. Beautiful. I've been pondering these words for the past couple of weeks. This is how I want our house to feel. But more than that, I want our house to be a home. Not perfect and spotless, but our home. Lived in, but where love and security reign! 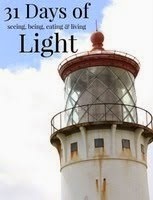 Our place to dwell, to abide, purposefully! And it is. We did some renovations on our house when we moved in 2.5 years ago. Gutted the kitchen and designed my ideal kitchen. Simple and crisp and farmhouse-ish. It's my favorite room in our home! Good thing, because I spend much of my time there and so do our littles! But I've been feeling this urge to make more rooms "the oasis" that I feel in our kitchen. I'm content with our home, but making our space here feel fresh, warm, inviting, comfortable and beautiful just feels like the next step that I can do for our family. 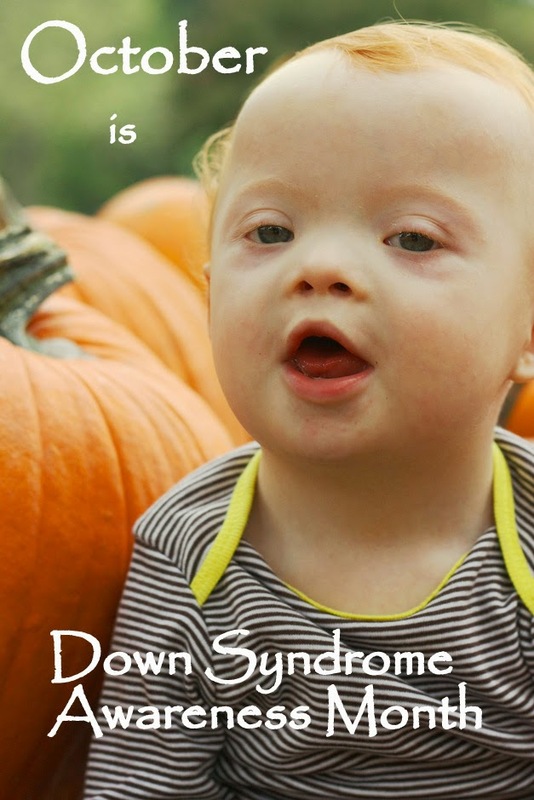 Of course, when I say "I" can do for our family, I mean, Hubby and I come up with ideas and tackle some of them, but also know when to call in some help! Aside from the big stuff though, I can make changes. I can create. I can make art. I'm all bought into the "We are all artists" thinking. And I'm not talking about painting a beautiful piece of art like several of my very talented friends. I mean, I'm just thrilled I finally put photos in frames the other day. Empty frames that had been sitting out for 2.5 years! Little things can be art! But I did fall in love with a piece of art recently and decided I wanted to make one too. 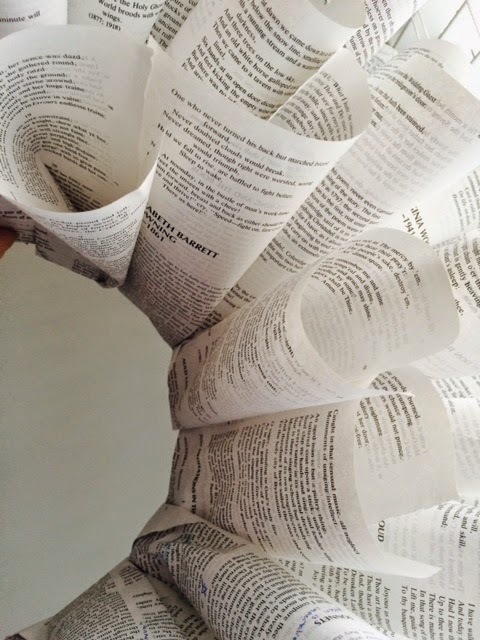 A book wreath. Have you seen them? 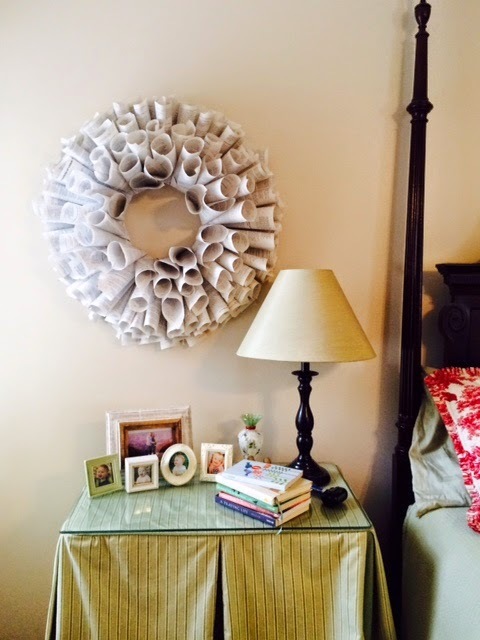 I just read the Nesting Place (super inspiring my house into home desires), and discovered the book wreath. I'll admit, I don't think I would normally be drawn to it---or at least in the past. But it hit my "fresh, warm, inviting, comfortable, beautiful" and I'll even tack on "romantic and whimsical" button and so I went for it! I'd read how people making book wreaths went and found books from the dollar store to rip up. Good idea from a cost perspective! But, I wanted to have my book wreath have a little sentiment behind it. I remembered that my old college lit books were still on a shelf at my parents house. I haven't wanted to part with them, however, they were sitting on a shelf, unopened and not even at my house! 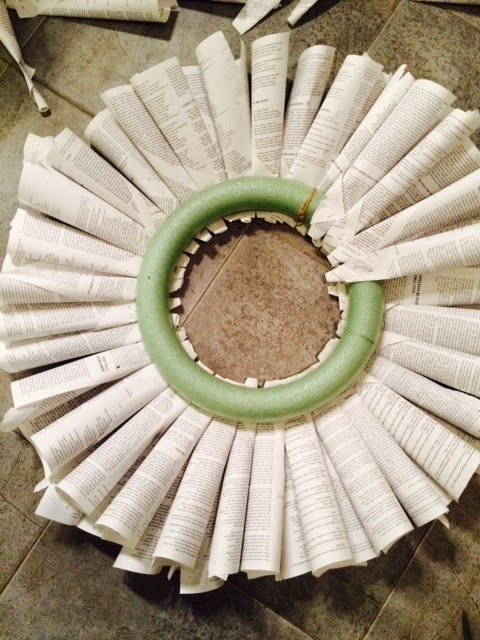 I love literature and thought it would be special to have my old lit book in a book wreath! So, I tore out pages of Wordsworth and Shakespeare, Bronte and Browning, Keats and Shelley and Tennyson, etc. and rolled them into cones! The most difficult part was the excruciating glue gun burns I had on 2 of my fingers. NOT fun at all. I've never had a glue gun burn and never want one again. OH my stars!!! My sweet hubby looked up home remedies for burns and I sat with my hands in a bowl of cold milk, followed later by a bowl of honey when the heat just would not subside! But it was worth it! I love this wreath! I can see some of my favorite authors and poets. I can see my starred poems and notes I've written along the sides. It's different for me, but it adds a calming and romantic piece to our bedroom! Love!! And I'm inspired to do more. To look for the beauty in the imperfect, create art and a fresh, warm, inviting, comfortable, beautiful haven for my family. In our home!